This is my impression on the water with the new 2011 MauiSails TR-7 sails. What strikes me most is the acceleration and improved windrange of the sails, low-end ánd high-end. The sails are stable with enough softness in them to be comfortable and to pump when needed. The combination with the 2011 Fanatic Falcons seems to work out fine. These boards can handle a lot more backleg pressure than last years models. Because the bigger TR-7 sizes have more backhand pressure this gives a lot of low-end power to use. 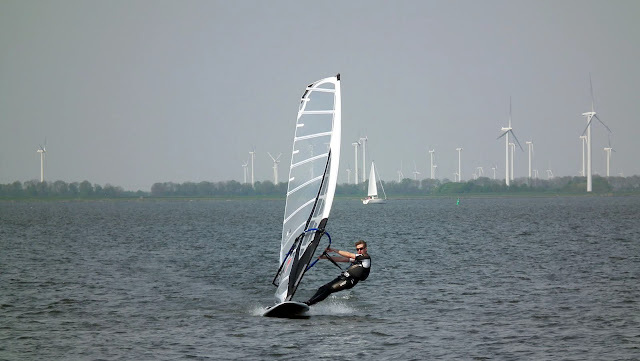 Pointing upwind and deep downwind with the big slalomset is very easy en comfortable. The smaller TR-7 sizes have more power upfront which results in more control and keeping the nose down for the smaller boards. 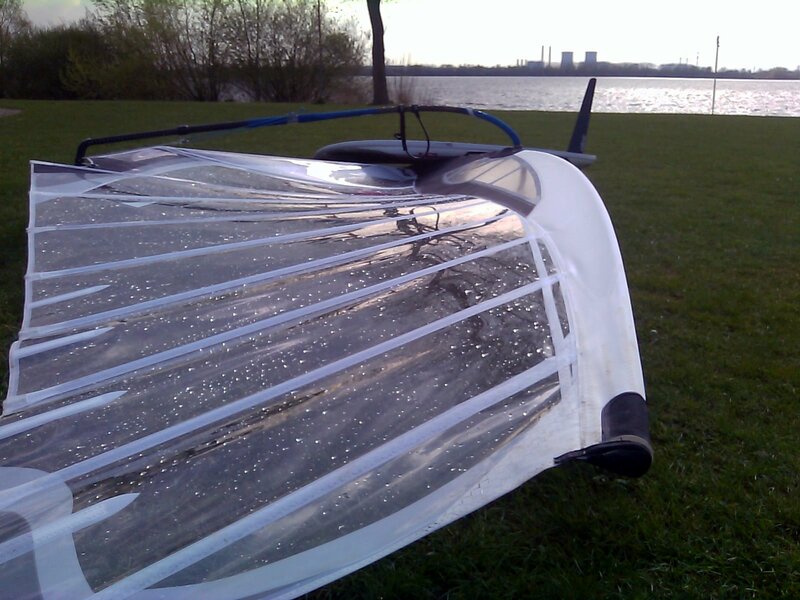 Because of this I can sail at higher speeds crosswind and point downwind without problems and keep the sail sheeted in. You can feel that the sails are more compact with a lower center of effort and more profile low down. I can use them with the boom lower and the masttrack more backward without the boards getting sticky or slow. Also I can use smaller fins, footstraps further back and the harnesslines further back than with the TR-6 sails. On all courses the sails feel more stable and easier to keep sheeted in handling the wind gusts and keeping the speed high. The average speed on a longer course is improved because of this behaviour. Also the wind gusts are directly converted into acceleration. Still softness in the sail is enough to pump into planing or coming out of gybes and accelerate. Gybing the TR-7 is easier than with the TR-6 because of the shorter boomlength and improved cam rotation. The total rig weight is also lower because with the same sailsize I can use a shorter mast and boom. This improves the overall handling of the sail. I use the sails with the recommended specs +0,5 cm downhaul most of the time. For the mastextension I add 4cm to the recommended spec so I still have some room below to work with. Using a bit of outhaul (neutral+0,5/1cm) seems to give me the best combination of power and control. 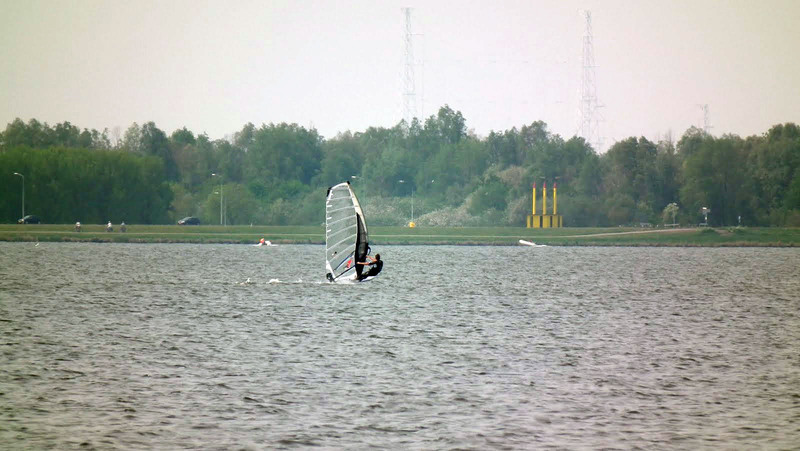 On the bigger sizes I use a variable outhaul with a lot of profile downwind and a flatter profile cross- and upwind. However finding the correct outhaul setting is a bit more precise than with the TR-6 sails. For me these sails are a big step in the evolution of the MauiSails Team Race series. I have used the TR-5, TR-6 and now the TR-7 and every year they keep improving. Very nice work MauiSails! Hi Joe, thanks for the feedback, happy to do so. If you have any questions please let me know. there is a question on the MauiSails forum now that is perfect for you - 2011 Falcon 121 with TR7 8.4 - best fin for this combination ? ?